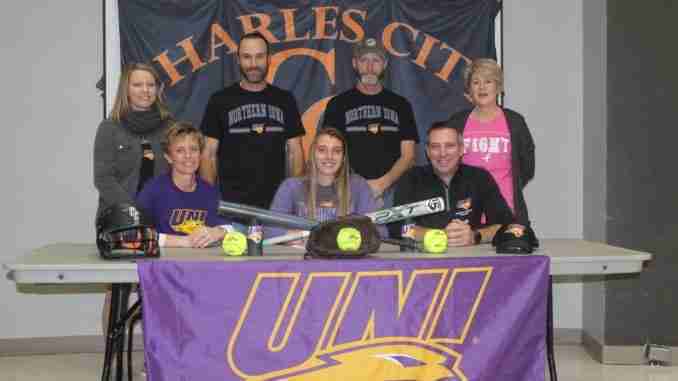 Charles City, Iowa – Charles City Comet Volleyball player Samantha Heyer has chosen to extend her softball career four more years with the UNI Panthers. She says her biggest advantage in her post-secondary career is being a Comet. Heyer earned a 3.995 in the classroom putting her atop her class. She’s involved in numerous leadership organizations at the high school. Osage, Iowa – Osage volleyball setter Rylie Olson has inked her way to a post-secondary education. The record-setter for the Green Devils signed yesterday to play volleyball at Grand View. She set the all time assist record in Iowa with more than 3,000 earlier this year.